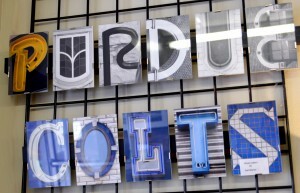 The Visit Hendricks County staff has scoured Hendricks County looking for one-of-a-kind finds you can only get here. In many cases, that means these gifts are handmade by local artists or simply are items you will only find in Hendricks County. This installment focuses on all of the dads, so we included all of the manly man gifts we could find. But even if the particular item or experience we feature may not be exactly what you&apos;re looking for, we suggest visiting each of these small businesses as they just might have that gift idea you thought you would never find. If you are tired of buying the same old, mass-produced tie for dad, Finer Things, 1032 E. Main St., Brownsburg, has another option you won’t find anywhere else. 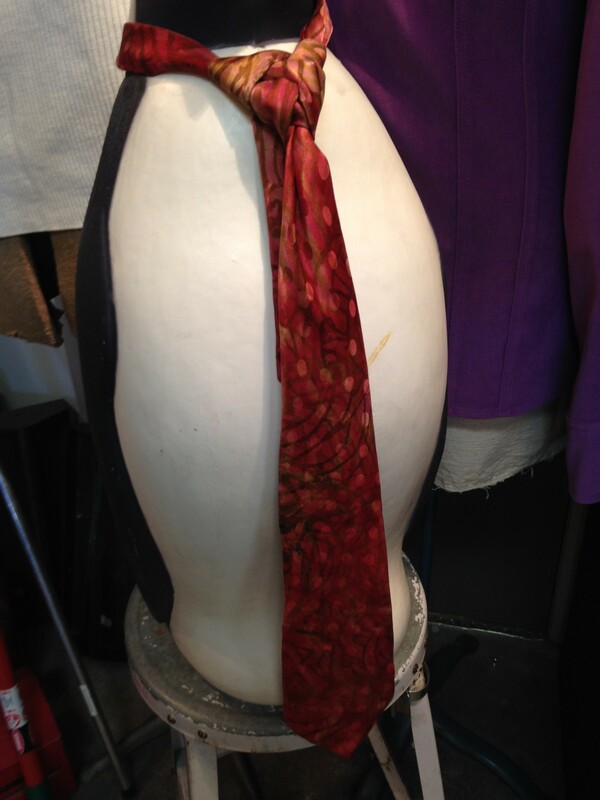 These one-of-a-kind ties at Finer Things are made of silk but are painted by Indiana artisan Sylvia Gray meaning no two are alike. At $37, these one-of-a-kind ties are a bargain. If you are looking for a unique gift for a bird lover, look no further than Old Bob’s, 10896 E. U.S. 36, Avon. 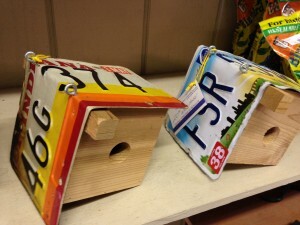 The store has a variety of birdhouses and other accessories for a variety of birds. They have large and small and commercial brand birdhouses that you might find anywhere, but what specifically caught our attention were some local, handmade creations that are specifically designed for wrens and bluebirds. We found small houses with hand-cut wood walls and roofs made from old license plates, another made almost entirely of recycled wine cork bottles that resembled a log cabin for a bird and even a ceramic creation that had a style all its own. Prices range from $10.99-$19.99, and while you’re there you can check out some of Old Bob’s other items such as custom framing, outdoor furniture, wind chimes and much more. 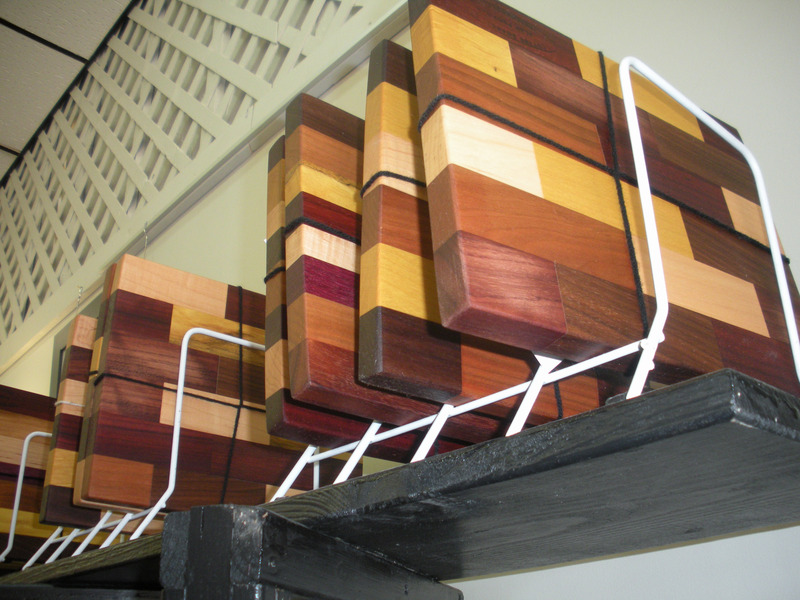 One of the go-to, one-of-a-kind finds that our staff here at Visit Hendricks County purchase often are these unique wooden cutting boards designed by local artist Alan Poorman at Gallery on the Square, 51 S. Washington St., Danville. They come in various sizes, shapes, colors and even different types of wood including poplar, maple, yellowheart, cherry and many more. The intricate detail and work Alan puts into these boards is simply amazing. He often uses different woods to create unique patterns and inlays within each board. Each cutting board comes with wax to keep them looking nice and range in price from $25 to as much as $130. Alan also makes and sells other wood products at Gallery on the Square such as trivets, lazy susans and nice wall decorator pieces. Do you have a speed junkie in your life? What better way to give him a moment he will never forget then to purchase a Rusty Wallace Racing Experience at Lucas Oil Raceway, 10267 E. U.S. 136, Brownsburg. Each participant gets a brief course on the ins and outs of stock car driving, and then they are ushered down to the track. The experience includes getting fitted for a racing helmet and suit, and the choice of a ride along or a 15-lap driving experience around the famed oval. 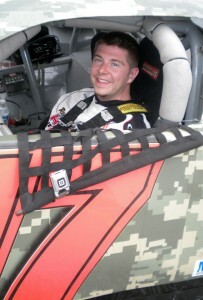 The experiences begin at the track April 12 and continue throughout the summer with 24 dates through Oct. 19. You can visit the track for more information or go online to order your experience. So you have that guy who is tough to buy for. Well, we found some amazing cuff links at Finer Things, 1032 E. Main St., Brownsburg. In fact, they were so small we almost missed them. 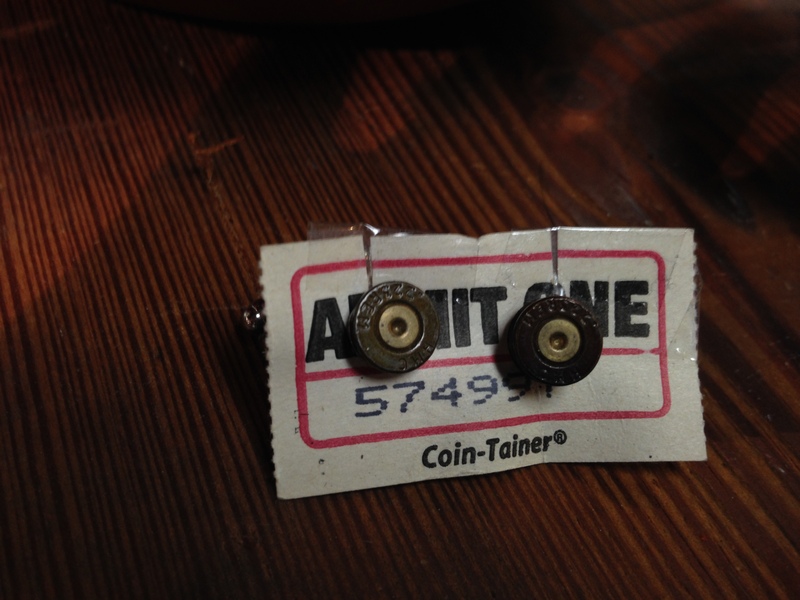 Made from recycled watch parts and bullets, these are truly one of a kind cuff links. Each cost a reasonable $14 each. Finer Things also carries vintage cuff links ranging from $20-$25. We found these really unique gifts for dad or anyone at Gallery on the Square, 51 S. Washington St., Danville. 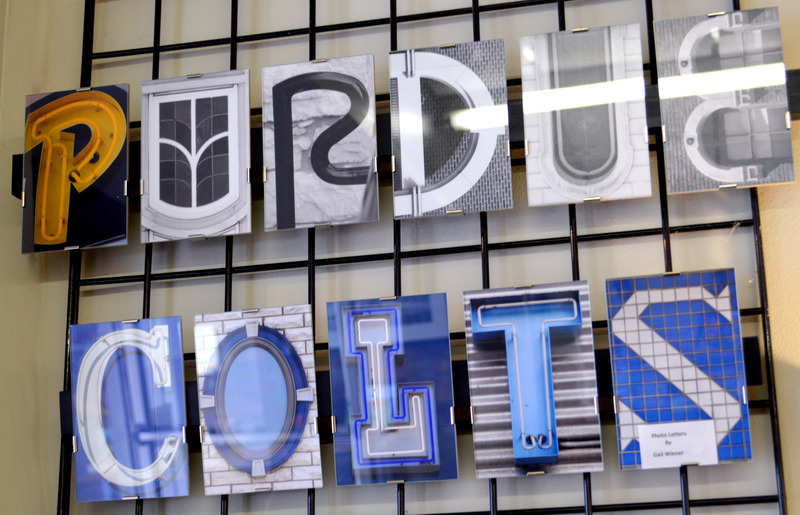 These letter frames combine artistry and architecture and can be customized to show your allegiance to a college or sports team or can even be inspirational. Really the sky is the limit as hundreds of individual photo letters can be purchased to make that perfect wall decorator piece. The frames are made of glass with a wood backing and can quickly and easily be changed for a different look or to create a new word or design. The frames range in price from a two-letter frame costing $10 up to a five-letter block costing $25 and everything in between. Individual photo letters cost $5 each, and they even sell smaller photo letter stickers to personalize cards or photo albums for $15 for three sheets or 180 stickers. If you have a fisherman or even an outdoorsman in your life, you will want to check out some art pieces we found at Finer Things, 1032 E. Main St. Brownsburg. 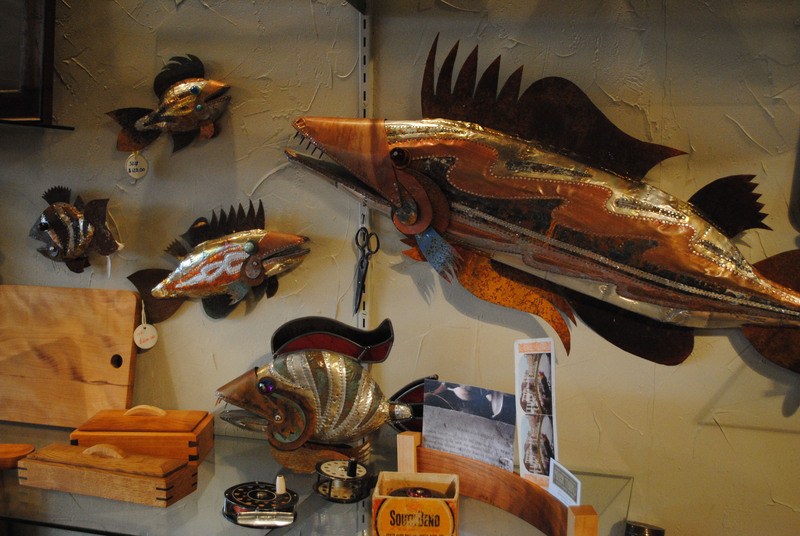 These metal fish, which are called Ken’s Fish, are true works of art as the local artist first carves wood into the shape he needs and then covers the wood with recycled soda cans before giving the cans a nice patina that really makes them stand out. We even noticed that it looked like the artist used nails for teeth for one of his creations that resembled a barracuda. Ken’s Fish are made to hang on a wall or some sit on a stand. They come in various sizes and range in price from $50-$1,200 at Finer Things. 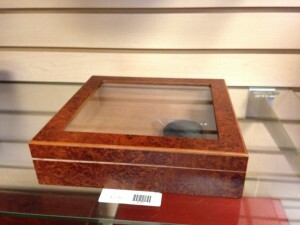 If you have a dad who loves cigars, we found just the gift for him at Mr B’s Cigar Box, 8123 E. U.S. 36, Avon. During the holiday season, the store will feature cigar kits, which include about 10 cigars, a starter humidor, a cigar cutter and lighter. The kits range in price from $50-$100, and you can even get a $5 discount just by printing this blog post and taking it with you to the store. In addition to every cigar imaginable, Mr. B’s Cigar Box now has a full bar with comfortable seating to enjoy a stogie in the store while sipping on some scotch, bourbon or even enjoying a local craft beer. We also noticed that the store sells sampler bags that include a variety of cigars for $20-$25.